We’ve built a brand new website and are very happy to present it to you! This new version inherits all of the needed data from the old website and provides much more, including responsiveness, comments, quick access to downloads and so on. All of the old news are available following this link . Our team has recreated this website in order to popularize Monero cryptocurrency, the only one truly private cryptocurrency of all existing. 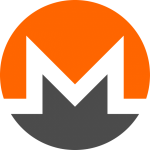 This website is a new attempt of embedding Monero to the masses and it’s prime target is to provide everyone with all needed information and software for mining, bying and developing Monero. We are pretty sure that such thing as XMR should be known and used by every modern human being in the world, because of it’s privacy, safety and convenience. We truly believe in the future of Monero and hope you’ll enjoy our new website. We’d also be very happy to hear any ideas about how to improve this resource.